Medical Qi Gong for enhancing one’s well being. Aligning and strengthening your mental, emotional, and physical core. Specialized hydrating water served in class. Matt Cavender has studied and practiced Chinese marital arts for over 43 years. 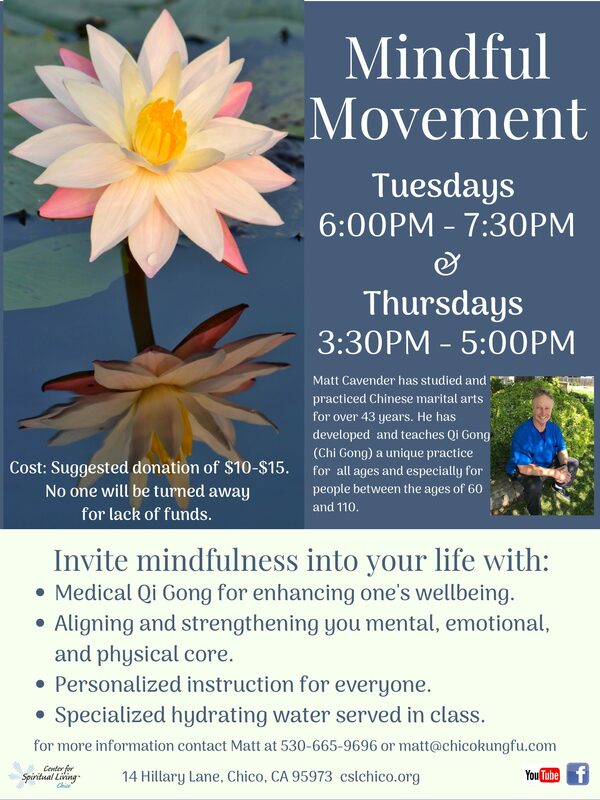 He has developed and teaches Qi Gong (Chi Gong) a unique practice for all ages and especially for people between the ages of 60 and 110.